Firefly algorithm is a new advanced heuristic algorithm, which has advantages of concise concept, few parameters need to be set and good astringency. By dividing the distribution network to reduce the solution’s dimension and improving the firefly algorithm, this paper puts forward a new method of fault location for distribution networks with DG based on binary firefly algorithm. 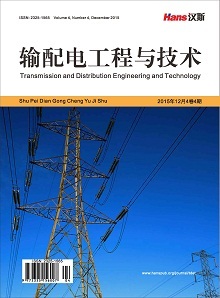 Analysis of example shows that the proposed method is able to get accurate results when it is used to locate single fault or multiple faults in distribution networks accompanied by part of the switch under the distortion of information, which proves its effectiveness. Finally, the comparison results with particle swarm optimization algorithm testify its speed and reliability. 罗梅, 杨洪耕 (2012) 配电网故障定位的一种改进通用矩阵算法. 电力系统保护与控制, 40, 64-68. 李超文, 何正友, 张海平, 等 (2009) 基于二进制粒子群算法的辐射状配电网故障定位. 电力系统保护与控制, 37, 35-39. 王进强, 陈少华 (2013) 基于改进遗传算法的含分布式电源的配电网故障定位. 电力科学与工程, 29, 13-17. 刘蓓, 汪沨, 陈春, 等 (2013) 和声算法在含DG配电网故障定位中的应用. 电工技术学报, 28, 280-284. Yang, X.S. (2009) Firefly algorithms for multimodal optimization. Stochastic algorithms: Foundations and applications. Springer, Berlin, Heidelberg, 169-178. 陈家俊, 蒋铁铮, 周勇, 等 (2014) 考虑电压骤降的分布式电源定容和选址. 电网技术, 38, 2244-2249. 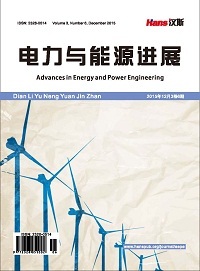 王晶, 王宗礼, 陈骏宇, 等 (2014) 基于萤火虫优化算法的微网源-荷博弈模型及分析. 电力系统自动化, 21, 7- 12. 刘长平, 叶春明 (2011) 一种新颖的仿生群智能优化算法: 萤火虫算法. 计算机应用研究, 28, 3295-3297. Chandrasekaran, K., Simon, S.P. and Padhy, N.P. (2013) Binary real coded firefly algorithm for solving unit commitment problem. Information Sciences, 16, 67-84. 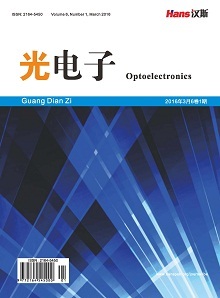 周湶, 郑柏林, 廖瑞金, 等 (2013) 基于粒子群和差分进化算法的含分布式电源配电网故障区段定位. 电力系统保护与控制, 4, 33-37. Kennedy, J. and Eberhart, R.C. (1997) A discrete binary version of the particle swarm algorithm. Proceedings of Conference on System, Man, and Cybernetics, 4104-4109.